This headgear is for Swift™ LT for her Nasal Pillow Mask only. Includes the Headgear, Plastic Tube Retainer and Soft Wraps. This headgear is for Swift™ LT for her Nasal Pillow Mask only. Includes the Headgear, Plastic Tube Retainer and Soft Wraps. The Swift™ LT uses a patented rotating barrel and can be adjusted to accommodate various nasal angles. 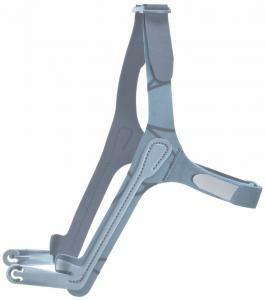 The stability arms are expandable so they accommodate most facial widths including narrow or wide faces. This headgear fits both the Swift™ LT and Swift™ LT for Her Nasal Pillow CPAP Mask.